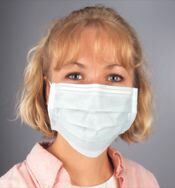 Hi, this site is all about sars, REAL SARS . This site is awesome. My name is Sean and I can't stop thinking about sars. This virus is cool; and by cool, I mean totally sweet. 1. Sars is a virus. 2. Sars kills ALL the time. 3. The purpose of sars is to flip out and kill people. Sars can kill anyone it wants! Sars melts off heads ALL the time and doesn't even think twice about it. This virus is so crazy and awesome that it flips out ALL the time. I heard that there was this guy who was at a store. And some dude came in with sars and killed the whole town. 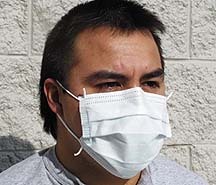 My friend Mark said that he saw a dude with sars totally sneezing out of a window. If you don't believe that sars hasREAL Ultimate Power you better get a life right now or it will melt your head off!!! It's an easy choice, if you ask me. Sars is sooooooooooo sweet that I want to crap my pants. I can't believe it sometimes, but I feel it inside my heart. This virus is totally awesome and that's a fact. Sars is fast, smooth, cool, strong, powerful, and sweet. I can't wait to start yoga next year. I love sars with all of my body (including my pee pee). Q: Why is everyone so obsessed about sars? A: Sars is the ultimate paradox. On the one hand it is way scarier than ebola, but on the other hand, fleshing eating bacteria has nothing on it. Q: I heard that sars is always cruel or mean. What's it's problem? A: Whoever told you that is a total liar. Just like other viri, sars can be mean OR totally awesome. Q: What does sars do when it's not melting off heads or flipping out? I heard ninjas are pretty sweet too! and my homepage rules.